But is this top-of-the-line product worth the price? 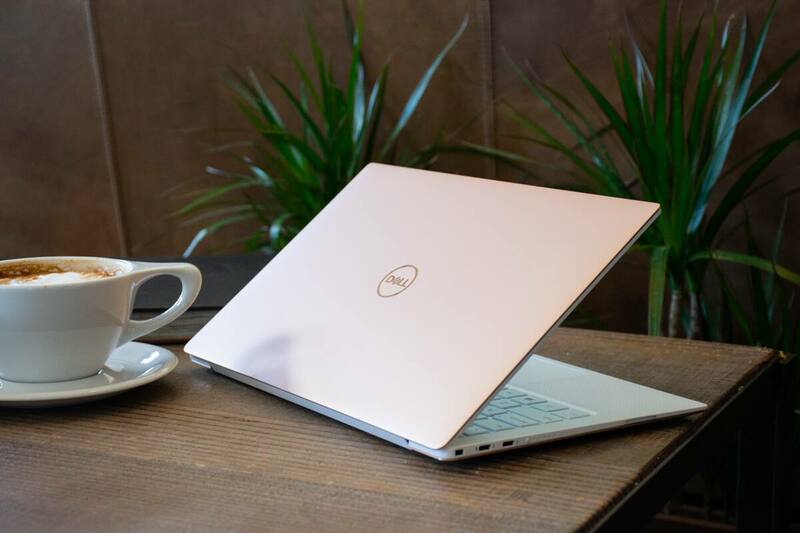 For its latest iteration, the popular Dell XPS 13 laptop gets a performance boost thanks to an 8th Gen Intel processor, while a stunning new rose gold and alpine white colorway add to the overall style. 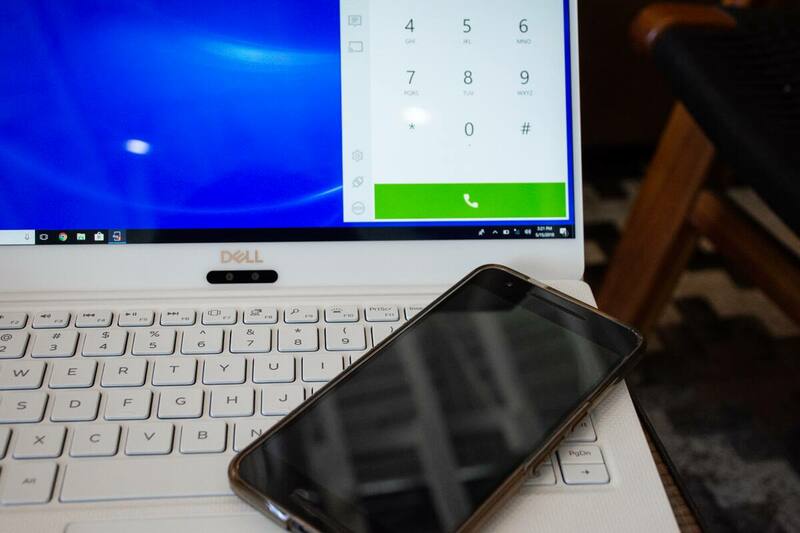 Smartphone mirroring via Dell Mobile Connect, and an entire suite of software — collectively called Dell Cinema — have also been added to enhance productivity and entertainment capabilities. These features are specifically designed to deliver a rich, distraction-free viewing and listening experience for streaming media. Is this premium laptop worth the relatively high price tag, though? To find out, I lived, worked, and traveled with the XPS 13 for the better part of a month. Specifically, I wanted to focus on lifestyle compatibility — if you're looking for benchmarks and statistics, this is not that kind of review. Keep reading for my hands-on impressions of Dell's newest flagship ultrabook, the XPS 13 Touch. 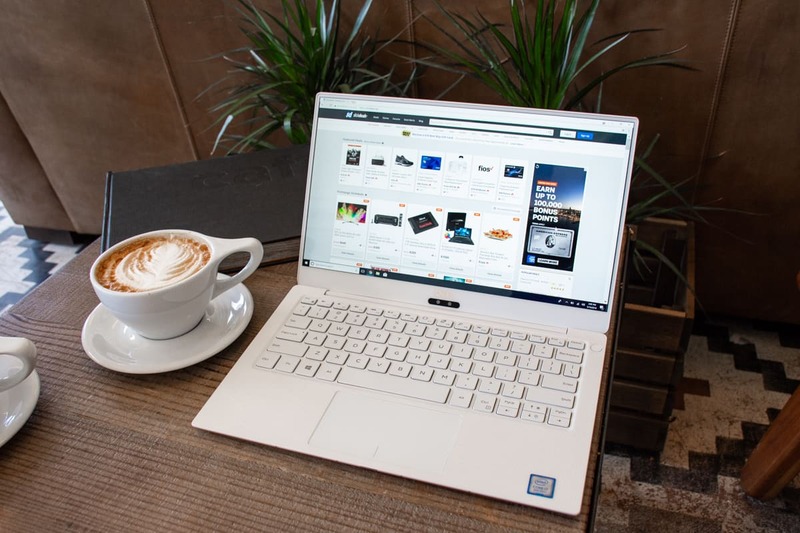 Special thanks to Dell for loaning us an XPS 13 laptop for this review. 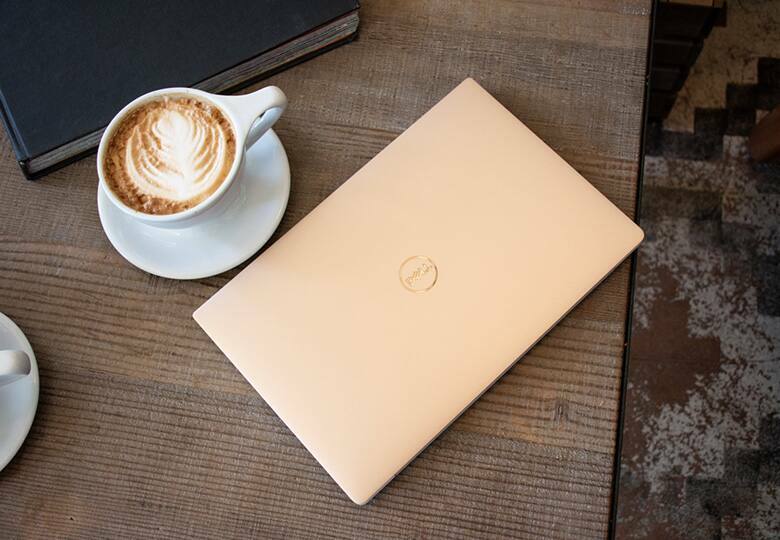 Never satisfied with the status quo, the XPS 13 continues to redefine "the ultimate laptop" with a thinner, lighter, and smaller form-factor that still pushes the boundaries of portable performance. The new rose gold exterior color and alpine white woven glass fiber palm rest bring together style and premium construction. 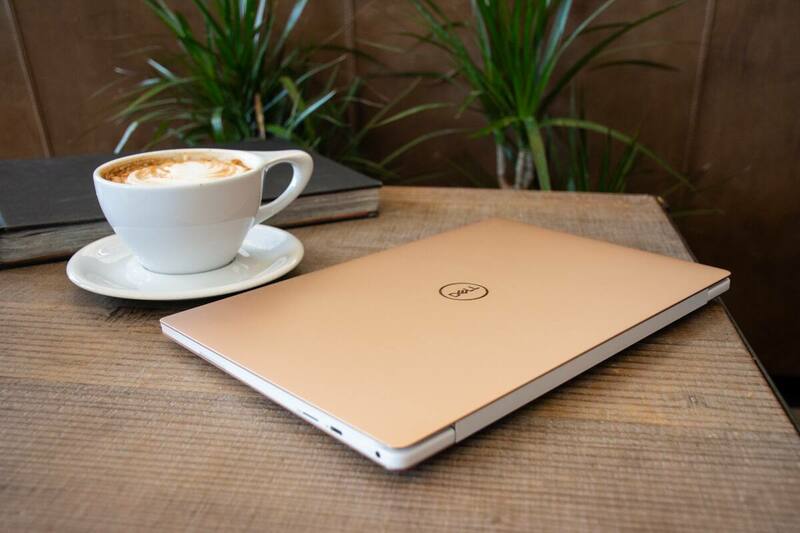 The XPS 13 not only looks fantastic, it also feels luxurious. Shaped from a single block of aluminum, the casing is both strong and lightweight. The woven glass fiber provides additional strength and durability for the part of the laptop that sees the most wear. My favorite low-friction and highly-accurate touchpad makes its return, while the keyboard facilitates fast typing with only 1.3 mm of key travel. What's most impressive to me is that Dell managed to fit a 13.3-inch laptop within an 11-inch footprint, making it easy to toss the XPS 13 into just about any bag or backpack and take your productivity on the road. It's the perfect coffee shop workstation since it never gets in the way, whether sitting on a couch or at a small table. And with the touch display, an external mouse isn't necessary anymore, since tapping the screen is faster than reaching for a peripheral. 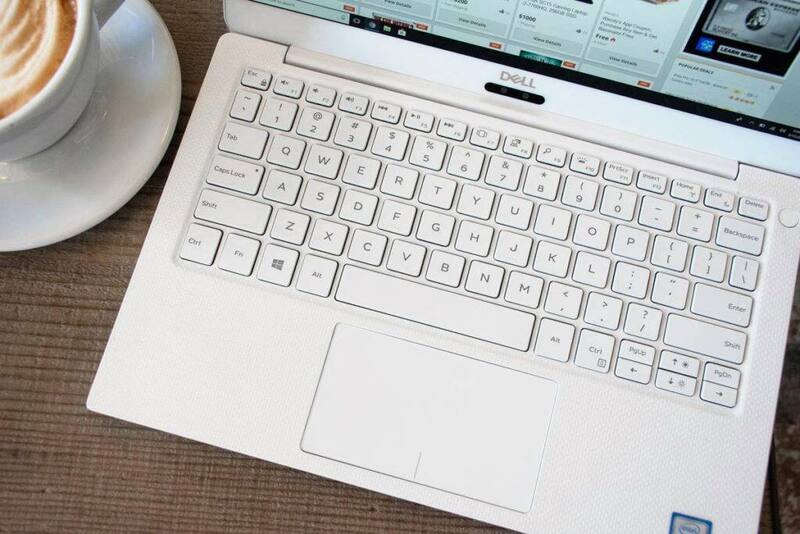 The previous-generation XPS 13 was already a powerhouse, and with an available 8th Gen Intel i7 processor for the new model year, it means there's even more capability to get things done quickly and efficiently. And when I'm ready to kick back after a long day, the XPS 13 shifts its computational focus to deliver an immersive streaming experience with Dell Cinema. This suite of technologies continuously works in the background to ensure the best possible visuals, sound, and bandwidth usage. But what exactly does this mean? To experiment, I borrowed a co-worker's 15-inch MacBook Pro and played the same 4K videos and music on both devices. After much scrutiny by myself and co-workers, we determined that the XPS 13 and the more expensive MacBook Pro delivered similar experiences, but the XPS 13 performed noticeably better in terms of color contrast and clarity, while also offering superior spatial sound from its Waves MaxxAudio Pro-tuned speakers. 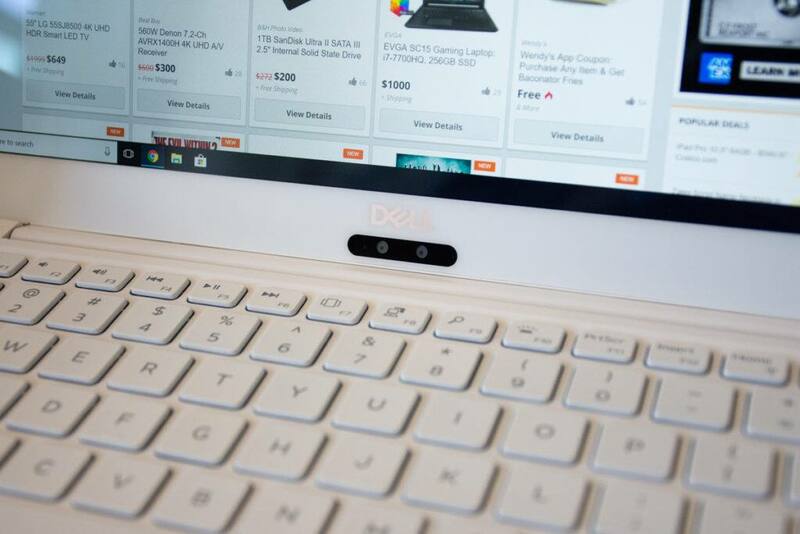 Other performance features include a fingerprint reader/power button, as well as Dell Power Manager, which automatically monitors heat, noise levels, and power draw to help the laptop's 52WHr battery last as long as possible. 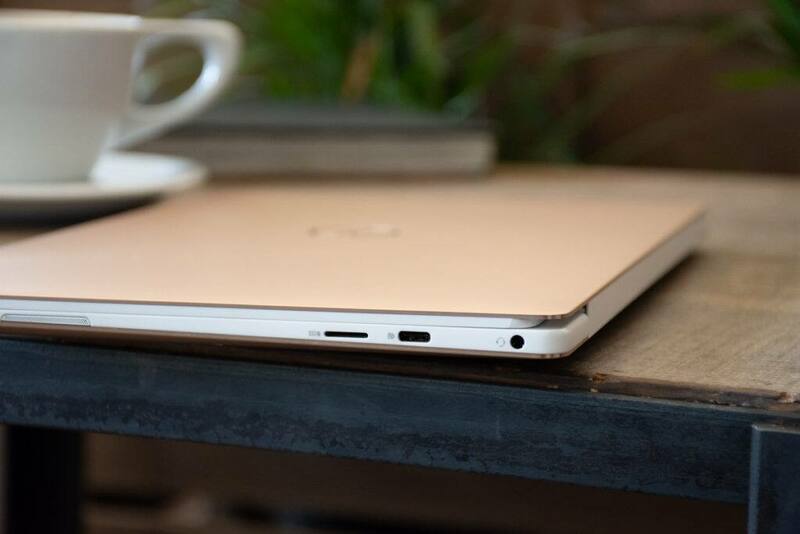 Using the XPS 13 as a leisure device — surfing the web in the evenings, working at coffee shops, watching Netflix in bed — I would need to charge the battery once every three to four days with regular use. 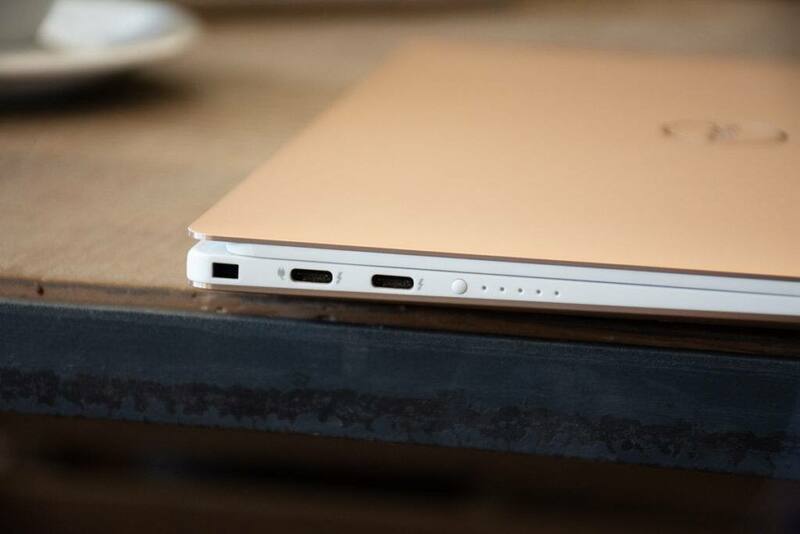 Otherwise, the XPS 13 waits patiently in a deep sleep that doesn't seem to deplete any battery. Should You Buy the Dell XPS 13 Touch? Owning an XPS 13 is a lot like having a fancy sports car — I may not use its full potential every day, but I'm really glad I have it when the need for performance arises. It starts up quickly every time, and has yet to stutter over any of my inputs or multi-tasking requirements. With a starting price of $1,799.99 (at time of publish) for the newest XPS 13 Touch, there are definitely less expensive laptops that will get you to the same end-goal. In fact, Dell's own Inspiron 14 7000 is a very capable machine at $699.99. 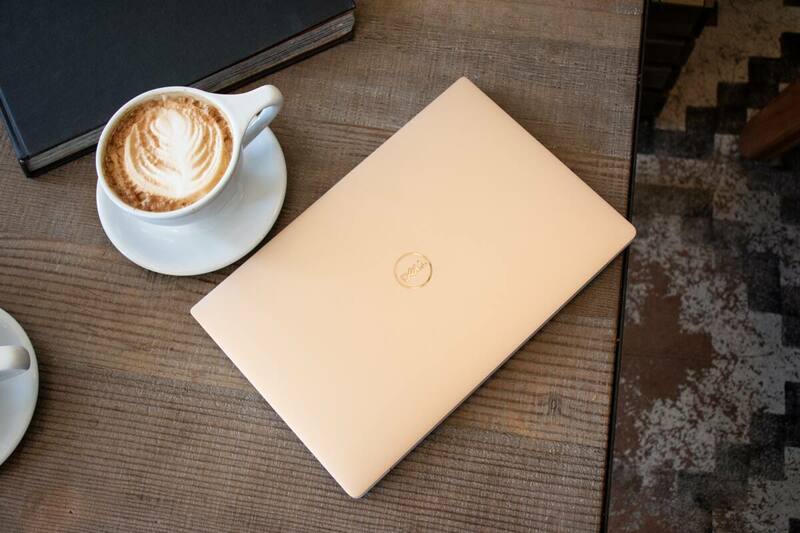 But with the XPS 13, you get time-tested performance, reliability, and versatility in a luxurious package that's tailored for today's demanding lifestyles. 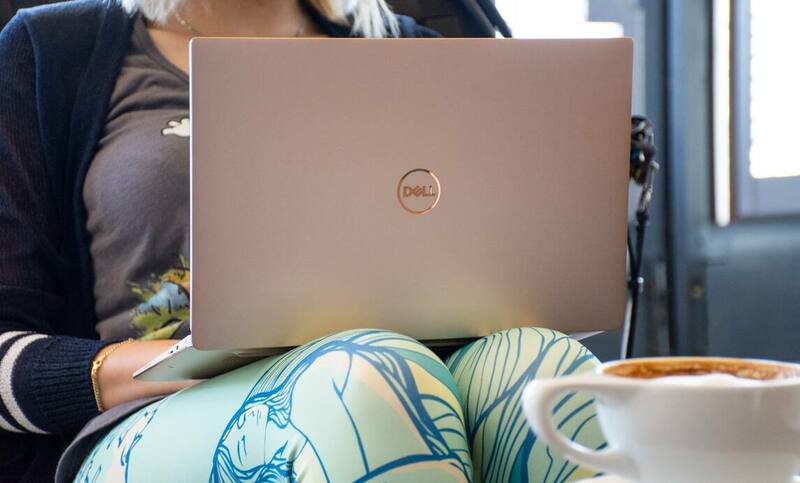 Equal parts power and elegance, the XPS 13 Touch makes a statement about who you are long before it's even turned on. And if you want to go spec-for-spec, dollar-for-dollar with Apple's MacBook or MacBook Pro, the XPS 13 will always come out on top as the better overall value. Learn more about the entire XPS 13 line-up, which starts at $999.99, by visiting Dell.com, and then bookmark Slickdeals's Dell store page for all of the latest coupon codes, rebates and special offers.